Item Name - karinabromaitiss jimdo page! 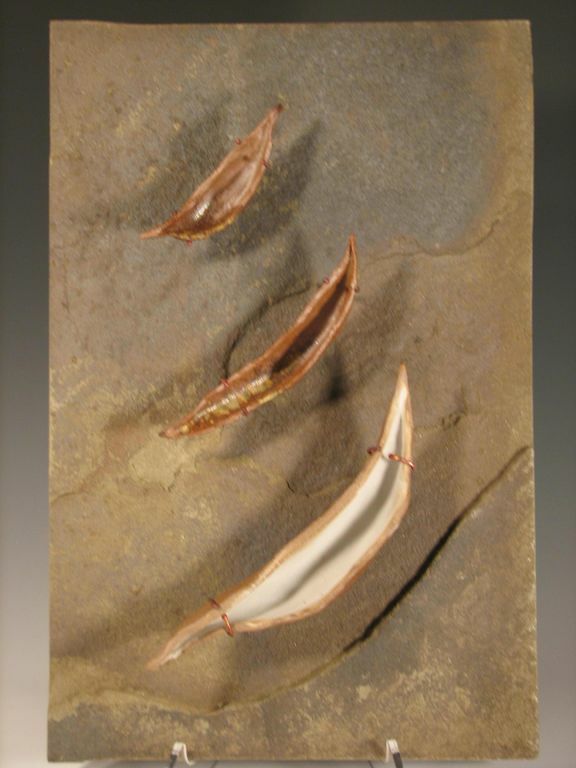 My sculptural clay projects center on images of pods and sanctuaries. For some reason they seemed tied together for me. I'm not sure why that is quite yet, and hope to spend some time this summer to sit with that. I have started on a series of pod forms that I plan to continue and expand. Recently I’ve gotten ideas for installations or room-sized multi-media displays for these pieces. These forms are predominately stoneware with some in copper. 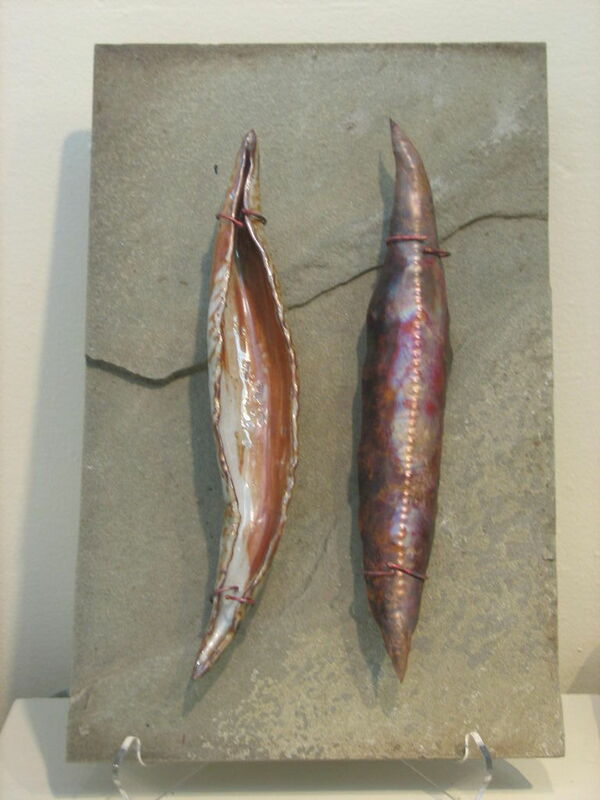 I’ve been firing these pods with ash glazes to cone 10 in reduction. I plan on exploring more firing options such as cone 6 reduction, wood, salt and soda, or pit-fired with terra sigillatta for these pieces in the near future.